I have been wanting to make coconut butter for some time now, but I didn’t know how what I would use it for. This really helps. Thanks! This is so helpful! I had a recipe that needed coconut butter but I didn’t have any. 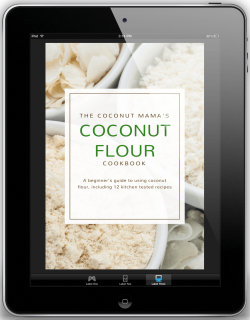 Luckily I had coconut flakes and this recipe! Another great article and so many recipes to try out, thanks Tiffany! I’ll be sharing it on my FB and Pinterest. I am on a low carb diet. I notice there are never any nutrition labels on your recipes. How many carbs are in coconut butter? I have a few containers in the freezer with just the fat part of the can from cans of coconut milk. I used the water for the recipes and set aside the fat to eat straight like pudding, to be perfectly honest, but I am trying to lose weight so I think it’s probably best to spread it out into a bigger recipe. Is this pretty much the same thing as coconut butter? If so, are there savory recipes I could use it in? I am trying to avoid sugar, too. Where do you get your shredded coconut? Do you make it yourself? I always have a coconut at home. 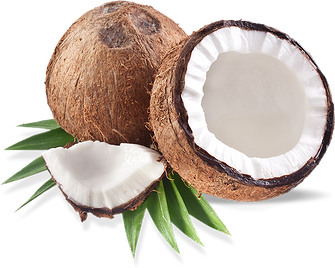 I have less inflammation from coconuts then with nuts. Im grateful for the forum topic.Really thank you! Awesome. I can go through a jar of homemade coconut butter in less than a week. My favorite way to eat it is to spread it into candy molds, freeze, and eat what I call “Coconut Melties” straight from the freezer. Or spread the coconut butter on banana bread. I love it too. What is Coconut Spread? Your Coconut Blueberry Pudding Recipe calls for it and there is a link to see where to get it but when I click on the link it just takes me to Tropical Traditions web site for coconut oil and I cannot find Coconut Spread anywhere there. Hi Tiffany: I have organic raw unrefined Cocoa Butter by Caribbean Cacao. I purchased it off Amazon for DIY Body receipes but I want to use it for Food receipes Only if it safe to use. It says it food grade but not sure if that means it is safe to eat. I emailed the seller and looked all over the web but I have Not found or got an answer. Do you know if this brand is Safe to eat? Thanks! I haven’t bought coconut butter in years since I couldn’t find it at a price I could afford where I used to live. Now I bought a big jar. I put some in a smoothie and also made a frosting for gluten free cupcakes with it. thanks for giving me more ideas! What a great collection! I’m going to start working my way through this list today! Thanks so much. Appreciate your post very much. I will be making some chocolate bar, fudges, spread for my toddler who has dairy allergy. FYI – no 19 recipe has no coconut butter in it. It calls for COCOA BUTTER, not coconut butter. You may want to double check the ingredients. Thanks so much for including my Gingerbread Fudge recipe! This list is amazing.